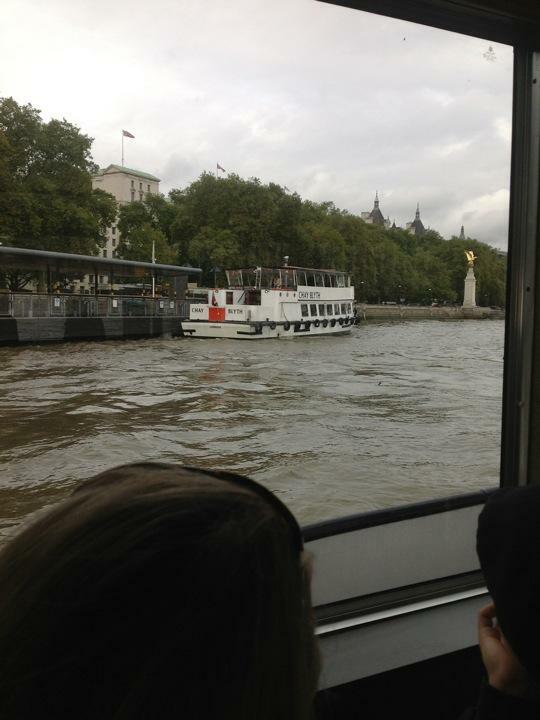 Today we took a river cruise from Westminster to Greenwich. There was an amazing amount of history as you moved down the river. We saw the Shakespeare's Globe Theater, Charles Dickens House, and the place where the Mayflower was built. The captain talked about the sites along the way and he sounded sad about all the changes to the river front. In many areas the old wharf (which we found out stands for WareHouse At River Front) buildings were replaced with condo buildings. It's nice to see that some of the great history of the river is still there. The ride took about 30 minutes and went under the Tower Bridge,and past the Tower of London, which was a jail. I enjoyed the trip very much, it was neat to see both the old and the new together.